Influenced by the lifestyle of the South and the architecture from the Coastal Regions of the Low Country and Florida, Southern Cottage has designed and built homes that not only embrace a casual elegance, but showcase quality workmanship with today’s leading technology. If you reminisce of an old family homestead, or a special vacation destination, or a classical residence that you have always been drawn to…whatever the dream, the reality of these impressions becoming part of your very own home are closer than you think. Southern Cottage Corporation, a Certified Green Home Builder, was founded in the Lake Norman area of Charlotte, NC in 2002 by Chris Hoffman. Chris’s motivation has been to help clients and families create the unique home of their dreams. Chris understands the value of relationships and how important and effective these are to ultimately “exceed expectations”. Southern Cottage Corporation is proud to be part of the distinguished Southern Living Custom Builder Program, recognized as a coveted network of some of the finest custom home builders in the South. Southern Cottage Corporation has been an active member of the Lake Norman Homebuilder's National Association of Home Builders (NAHB), the American Institute of Building Design (AIBD), and other industry leading organizations. Chris has been featured on such shows as NBC’s Carolina Today, and in many local publications for their work. 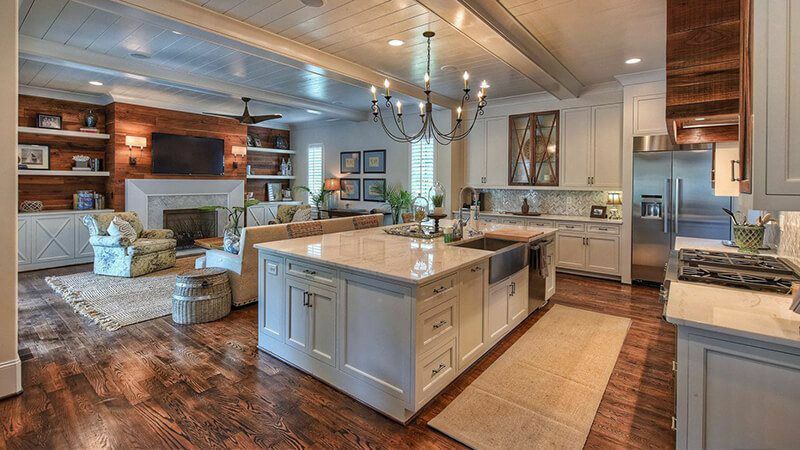 Southern Cottage has received numerous awards for their designs, extensive remodeling transformations, and their creative new construction projects including the most coveted “Best in Show” award from the Lake Norman Homebuilders Association in both 2015 and 2018. Our award winning track record of new homes and transformations will solidify your confidence, ignite your creativity, and foster pride in being part of our mutual legacy.